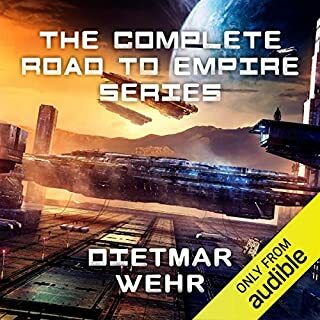 Get both audiobooks in the Road to Empire series in a single volume! Book 1: The grand experiment of a democratic Commonwealth of Star Nations has failed. There’s now a power vacuum but no shortage of ruthless egos looking to fill that vacuum. Will it be the Republic of Corona, the most prosperous and populous colony world, or a resurgent Earth under a messianic leader or perhaps a power-hungry interstellar corporation? 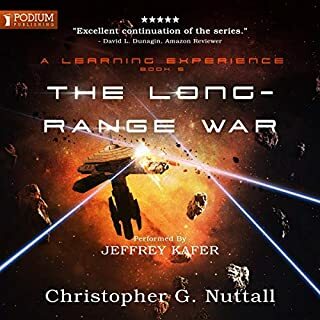 Book 2: The 10-year-old Tau Ceti Empire is at a critical junction. Normally, I listen to audiobooks with one ear (usually as more of a distraction as I work). But this book tore my attention away from my PC and held it firm. 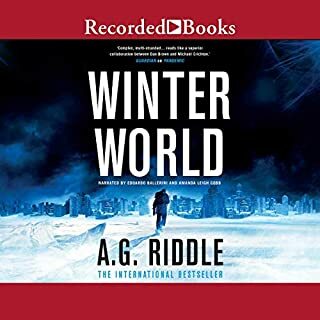 I wasn’t too sure about the narrators voice as Meredith as I listened to the first 5 minutes of the book. Their tone felt a little too droll. But as I kept listening (and the Meredith character became fleshed out), I actually now think the tone fits her personality perfectly. I have only listened to the first 3.5 hours so far (all in one sitting) of this mega-eleven plus hours long book. But I just had to leave a review right away! If you want to read a sci-fi book that takes you down a crazy rabbit hole of twists and turns, Get This Book! I couldn't seem to visualise the characters as the descriptions were somewhat lacking. One dimensional characters in my opinion. Story started good but didn't reach a satisfactory conclusion. I hope the second book offers far more descriptive characterisation and maybe a plot twist and reaches some important high points along the way The premise of this book is good however it underwhelmed me. I’m incredibly impressed with how the plot of this book is developed. 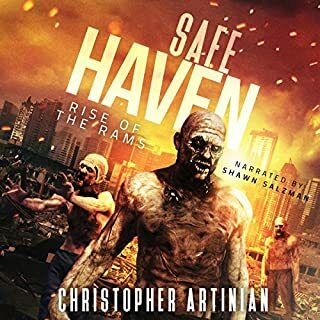 Excellent writing, with very good descriptions of the setting/world, really clever dialog, and observations about humanity that remind me of the wit of the really great authors and entertainers. I love books that make me reflect on morality/ethics and this does that. I also found the characters engaging and well developed. The pace is great and maintains throughout the book. I loved the idea on reading the synopsis of the book which is that different people from different times in history are thrown together. That’s a cool idea and makes for a great story! It evoked excitement and sadness in me and I think that in itself shows it was a great book. It wraps up nicely in that I didn’t feel that I had to wait for the next book but it also made we want to read the story in what I hope to see as the next book. Which is also important to me as I hate it when books only seem to set themselves up for the next without giving me an ending. The narration is great for the style of the book and the characters are brought to life by the narrator. A lot of world building and not really much else. The Paths Between Worlds (TPBW) spends most of its eleven hour run time building its rather big little world and introducing its limited number of players (from the hundreds) deposited on said unknown world*. Though this isn't an overly bad thing, quite often you find a number of books which flyby the new found land in an attempt to deliver the meat, the problem with TPBW is the lack of meat between the world building. There are only few moments in which you'd call 'action'. Please don't get me wrong, I don't crave the Michael Bay like explosions in my Sci-Fi, but here in TPBW I think you could count the actual action scenes on one hand. Even then, titling them 'Action Scenes' is being overly generous. Except of course when the Nazi's come into play for a few minutes, then it (for a moment) ramps up the tension. 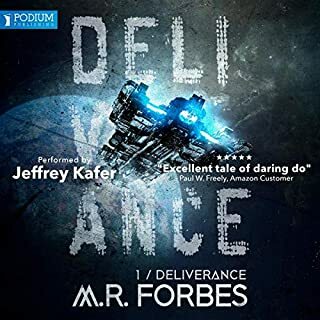 One of the strong points of this release is from Kate Reading who delivers an excellent narration for all characters involved, from all time periods and from all corners of the globe. She is now on my list of narrators I'll look for when choosing an Audible book in the future. TPBW isn't the greatest slice of Sci-Fi, nor is it the worst. To much time however is spent building up part of this new world, that come the end - of Book One - we seem to be it leaving behind. 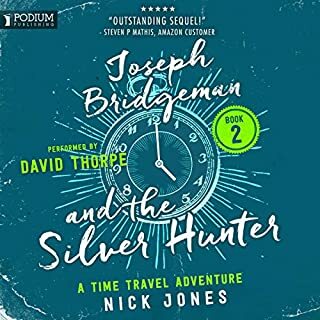 There's a trace of a mystery, thinly woven throughout Book One, which I'm positive (hopefully anyway) will be explored more in Book Two. However the bait that is attempting to hook you on to this upcoming mystery is so small that I - in-truth - didn't feel like it was enough to warrant chasing. N.B. 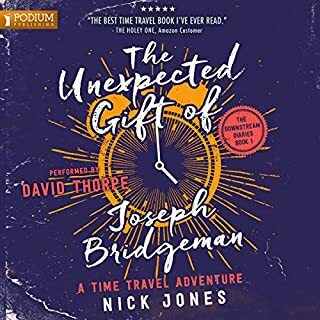 This audiobook was supplied for free via Audiobook Boom. After the first hour, I thought the general premise was oddly familiar. Basically, it is Philip Jose Farmer's Riverworld, with new names and minor changes. 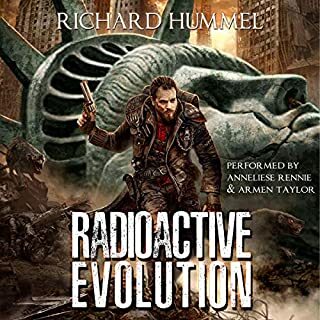 Another reviewer noted this online, calling it Riverworld for the new generation. The performance was quite good, but the fact that it was so closely scripted like Riverworld, that it stuck in my throat. I have returned the book uncompleted. Humans transplanted to another world by aliens, they interact with other humans in a struggle between good and evil, with the inclusion of various historical characters. In Riverworld the good guy was Mark Twain, here Wild Bill Hickock. I am sorry to rank on this book. I was waiting for the bad guys to appear, assembled around some historical Baddie, and lo and behold, the SS shows up. I could not go any further. 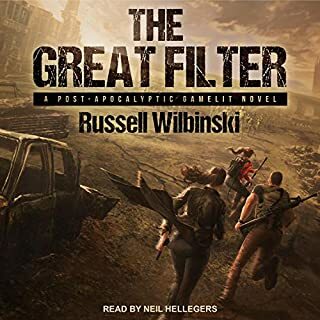 I appreciate the commercial drivers behind an author wishing to create a series that readers/listeners buy into for multiple titles but this title ended in such an abrupt manner that I found myself checking to see if I'd failed to download the last part, which I appreciate is silly as things don't work like that. 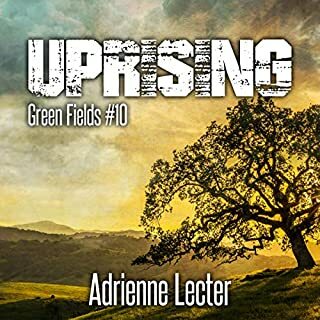 For me, it took a challengingly long time for this story to get going, but I persisted, and then the pace accelerated and it became more interesting, and then it suddenly stopped. I found the first few chapters a bit of a grind through the very long struggle to survive, before some more interesting elements started to be added to improve matters. This is Sci-Fi, so we're not necessarily looking for plot logic but some of the character introductions and stereotypes and aspects such as, for example, the translational voodoo and the quick availability of, shall we say, water-borne transport, push plot credibility/acceptance to the limit, but that's sort of OK in this context. So will I buy into part 2 when it appears? Maybe, but the test will be whether the story has stuck in my mind when I come to consider the new download in a few months or whenever it becomes available. Gripping story and the narrator is brilliant, listened to many books narrated by Kate and this was also brilliant. I cannot believe I got through this book so quickly, it was over before I knew it and I am hungry for more. 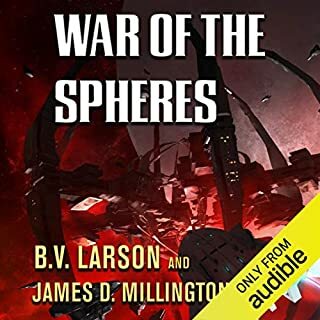 Excellent story line, and a nice change from the usual sci-fi books I listen too. Never a dull moment. New to the author but liking the sound of the story I picked this one up. The premise is totally new but is different done quite well in building the story as it is well written and keeps your attention. The characters are done with a good touch of realism and my main fault is I had often deduced the thread or the conclusion from previous happenings. It did take till just over 50% before I was properly surprised. Despite this I found this quite easy to follow and enjoy although I think the supporting characters helped this along a lot with their tales of woe and hardship. I'll be interested and curious to see where the 2nd in the series will go. 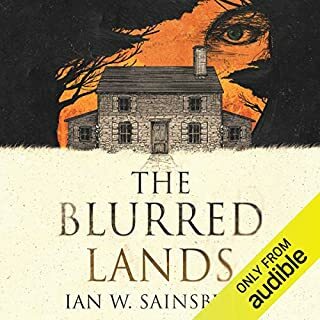 Narration was surprisingly good and i will keep my eye out for further work from Kate Reading. If you have an open mind, and a great imagination, this book is for you. It's different than what I normally read, so I was a little wary. But, my doubt was gone within the first hour. The Narrator is amazing. Great Job, and I need book 2 and 3, and so forth. Be prepared for an amazing journey. I want to insist each of my followers listen to this offering, and recommend it to others. An amazing debut, and a remarkable story and performance. If you want to go on a wonderful journey, an original idea and great performances. Please grab this offering and do so! Seemed to start off like some kind of soap opera, but quickly escalated to a really good adventure that had many surprises and changes. The author made detailed description of characters not mundane, but very interesting. The narrator did an excellent performance of voices when changing between characters, be it male or female. A good story which demands a sequel or 3. I recommend this book for ages 15 and older due to blood, violence, and a few mildly suggestive situations. Paul Antony Jones writes a GREAT story. What imagination and creativity. I enjoyed how he brings people and machines together and the adventure that leys before them. Looking forward to book 2. Kate Reading is AWESOME. 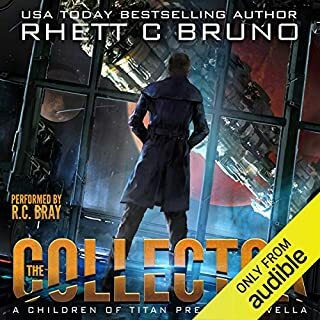 I am an avid listener of audiobooks from the sci-fi and fantasy genre, and when I saw this one release, I thought I would give it a shot. Considering I had no prior knowledge of this book, I felt that I would give it an open opportunity to impress me, to which, it absolutely did. To begin with, the narration is outstanding. 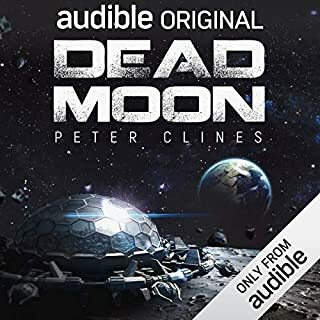 Of course, Kate Reading is one of the best narrators in all of the audiobook genre. 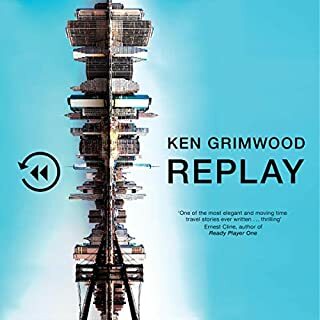 The story itself, feels new, but yet, has some aspects which are very reminiscent of other science fiction books I have read in the past. Also, the book does have some elements that are very reminiscent of the TV show Lost. Likewise, I can see certain aspects which are reminiscent of Stephen kings Dark Tower series, which, without a doubt, is one of my all-time favorite series of books. The concept of the multi-verse, is something which has always interested me, and this story uses it expertly. Overall, this is one of the best reads I have had so far this year. If I could give it six stars, I would. 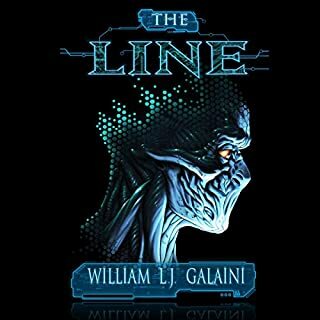 I highly recommend it to all fans of the science-fiction adventure genre. 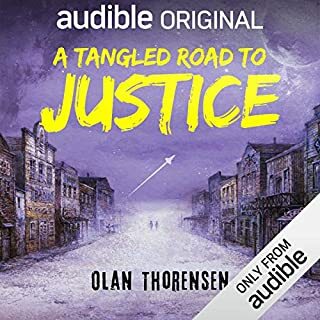 I received this audiobook as a free sample copy, in return for my unbiased, volunteered opinion. Note, however, just because I received a sample copy of this book, did not, in anyway, influence my review. I would have happily purchased this book with my own credits, without question! This story was awesome. I found myself listening pretty much straight through. It was a mystery that kept developing. The characters were unique and memorable. Each one positively added to the story. The narrator was spot on and able to add a distinct tone to each character. I am looking forward to listening to the next book. 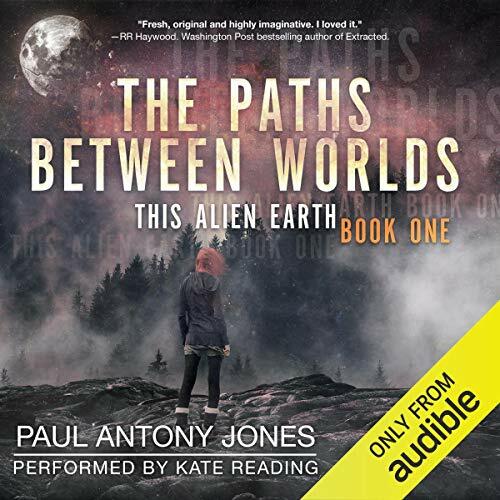 The Path Between Worlds was a great story, made even better by Kate Reading's excellent narration. 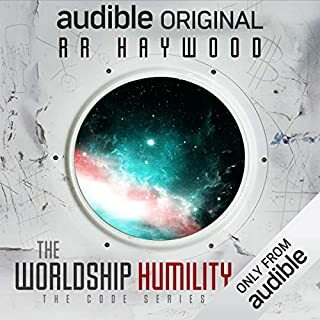 I thoroughly enjoyed this audiobook and look forward to future installments in the This Alien Earth series. I was provided a free copy of this book, at my requests, and have voluntarily left this review. the story seems good so far. the narrator is excellent with the difference voices necessary. I hope the rest of the books are as good. Good start to an interesting premise and world. The Paths Between Worlds does a great job of keeping the listener interested in the world and story. The pacing of the action and mystery elements is what really pulled me in. It kept me coming back for more! Kate Reading does a great job depicting the different characters. Always a pleasure listening to her read!